The Candidate of the Progressive People Alliance (PPA), for the November 18th Governorship election in Anambra State, Mr. Godwin Ezeemo says he will not rush overseas to import ‘technocrats’ when he wins the Anambra governorship race. 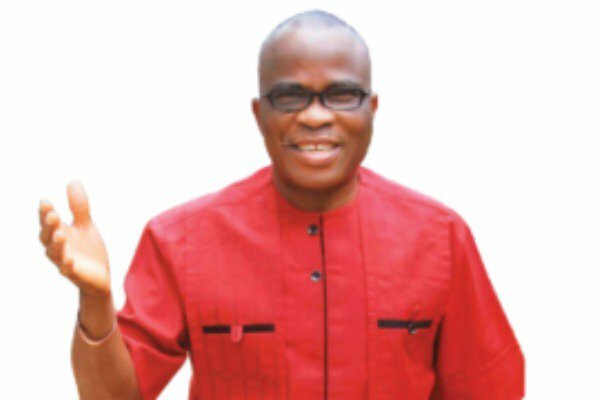 Ezeemo said he will run an all-inclusive government that would ensure that local politicians who worked for his emergence, and who have been long enough in the system, would be used to deliver democracy dividends. Ezeemo who spoke to journalists in his country home after receiving some politicians who were on a courtesy visit to him said he has enough technocrats in his party, and as such would not behave like other politicians who always rushed abroad to pick their friends to occupy government offices, even there do not know how victory was attained. The governorship candidate said, “My administration would make use of technocrats within the party. We will run an all inclusive government. When you say ‘all-inclusive’ it doesn’t mean that you will go and give these jobs to people who did not work. There are enough technocrats inside our party PPA. “It will be suicidal for any elected governor to abandon people that have worked for he/her success. There are learned, responsible people in our party in Anambra.